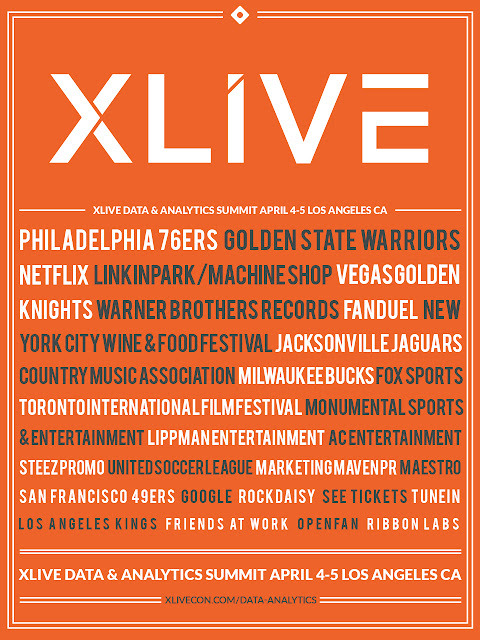 XLIVE 2017 Data & Analytics Summit - Los Angeles - Premiere live event & entertainment conference, XLIVE kicks off their 2017 offerings this spring with their highly anticipated 2017 Data & Analytics Summit, a precursor to the main conference slated for this December in Las Vegas. Taking place April 4th - 5th at the Paley Center for Media in Beverly Hills, the Data & Analytics Summit will convene live event producers, sports executives, festivals, leading data and analytics executives, in addition to brands hosting their own corporate events and festivals under one roof to educate attendees on the latest technologies emerging at the forefront of event production. As live event and festival production teams encounter increased competition from one another while striving to provide unique experiences for fans and attendees alike, technology will serve as a cornerstone in this differential effort for years to come. Presiding over the Summit to discuss how to remain ahead of an ever-changing industry is an impressive roster of speakers from some of the most influential companies across the globe, spearheaded by Todd Holloway, Director of Content Science & Algorithms - Netflix; Brandon Ramsey, Director of Business Analytics & Strategy - Golden State Warriors; Akshay Khanna, VP of Strategy - Philadelphia 76ers; Eesean Bolden, VP of A&R - Warner Brothers Records; Kyle Burkhardt, Director of Business Intelligence - Los Angeles Kings; Scott Mitchem, Protective Security Advisory - LA District, U.S. Department of Homeland Security; Olivia Diamond, Director of Brand Partnerships - POP Montreal; John Trumble, Managing Director - New York City Wine & Food Festival; Arri Landsman-Roos, Director of Analytics, Jacksonville Jaguars; Meryl Johnson, Director - Digital Strategy, Country Music Association; and Josh Baird, Director of Social Media & Audience Development - FOX Sports. "XLIVE is hitting on the hottest issue in the festival industry right now," says Aidan Augustin of Feathr, a digital marketing and analytics platform for event organizers, "As new technologies connect online and offline customer data, live events are finally becoming quantifiable." Feathr is one of the esteemed 2017 Summit Sponsors who have joined forces to ensure this year’s Summit is a widely successful endeavor. Alongside Feathr are Presenting Sponsor Eventbrite, Premier Sponsor Vendini and last but not least, Conference Co-Chair Umbel. Companies Vendini and Umbel also have the honor of contributing to the agenda, as both have team members participating on panels in addition to their respective sponsorship roles - Umbel Representative Senior Partner, Strategic Services Dave Cedrone and Vendini Appointee Mark Meyerson, VP and GM of Live Music. Over $1.1billion was invested in event technology in 2016, a direct reflection of how digital transformation in the live event sector is growing at unprecedented levels. As digitization of the live experience continues to expand, XLIVE offers event organizers the opportunity to learn to harness the power of data to more effectively engage attendees, understand customer behavior, increase revenue, analyze competition, identify talent trends, monetize assets, and enhance sponsorship activation. Registration for XLIVE 2017’s Data & Analytics Summit is now open -- Don’t miss your opportunity to engage with top luminaries in the realm of D&A! 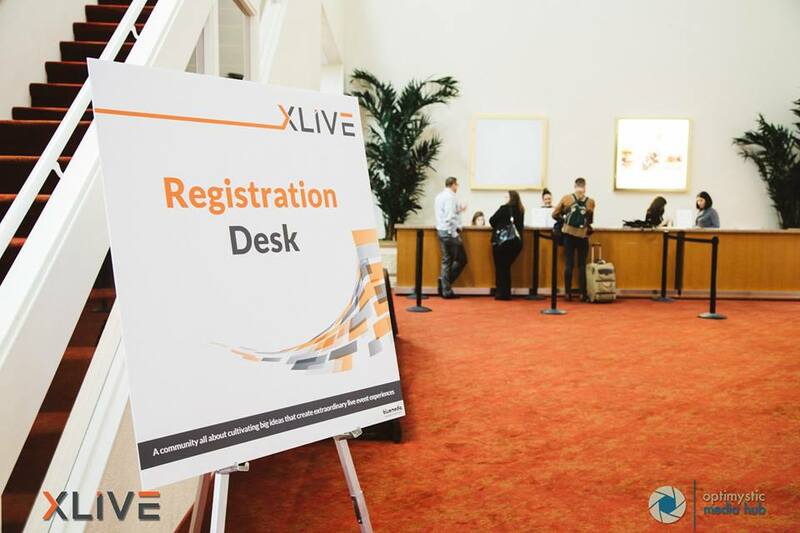 With plans for XLIVE 2017 to return to Las Vegas December 10-13, 2017, multi-faceted organization XLIVE will continue to revolutionize the way live event and festival organizations share expertise, learn, and most paramount, envision the future of the industry. XLIVE convenes with leading experts at the intersection of music, film, culinary, beverage, eSports, technology and the experiences that culminate at festivals and live events. Reflecting the passion of the vibrant festival community, XLIVE serves as a catalyst for curating unique, memorable and life-changing experiences within the growing, dynamic and influential realm of festivals. XLIVE opens 2017 with its Data and Analytics Summit this April 4th - 5th, 2017. To stay up to date with all XLIVE news and industry happenings - sign up for the XLIVE newsletter at the bottom of the website’s registration page. We’ll see you next year in Vegas!